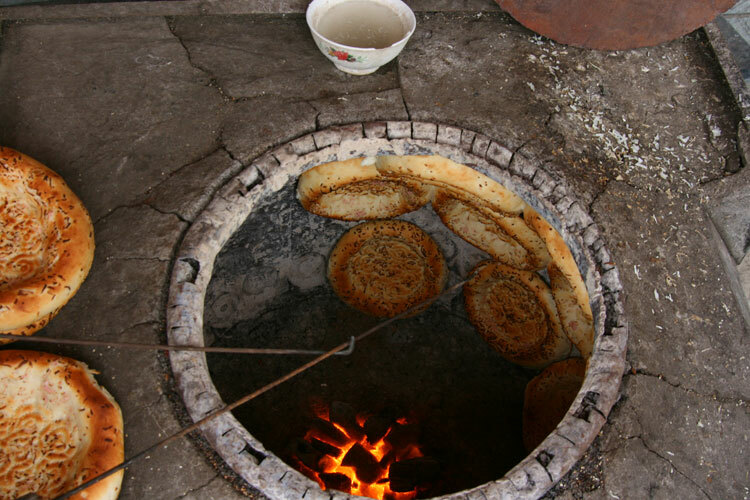 In the Uygyur area of Urumqi the Naan ovens steam around the clock. At the bottom of a large steel cauldron a pile of coals. Stcuk to the sides of this are the newly rolled naan. The bowl of water beside the oven is used to sprinkle on water occasionally.